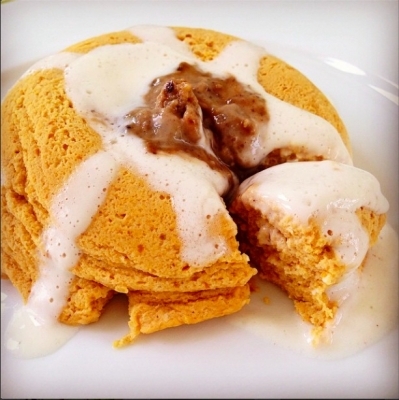 nothing better to start off fall than a fluffy pumpkin mug cake topped with @gbutterofficial cinnamon roll high protein spread! you may need a bit more liquid! combine all ingredients well in a mug, microwave for 2-3 minutes or until fully cooked and enjoy!